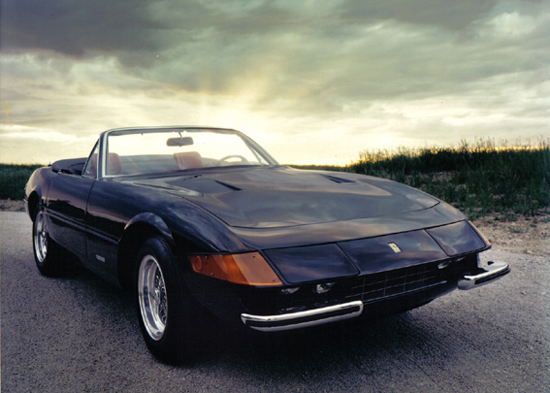 Complying to the convertible market, Ferrari had Pininfarina design the Daytona Spider and limited production to just 122 cars. At the time, the Daytona was known as the top dog, holding a speed record of 180mph, and being described as the ‘the best sports car in the world’ by Road & Track. Scaglietti was careful in transforming the 365 into a Spider. It required several modifications that replaced the Coupes fiberglass inner fenders and rear bulkhead with steel counterparts. Additionally there was a supports that connected the firewall to the front fenders and foot wells to the side sills. This added rigidity to improve structural rigidity that was normally provided by the roof. It is the above mentioned changes that are important, especially considering the large amount of converted Coupes that were chopped into Spiders. 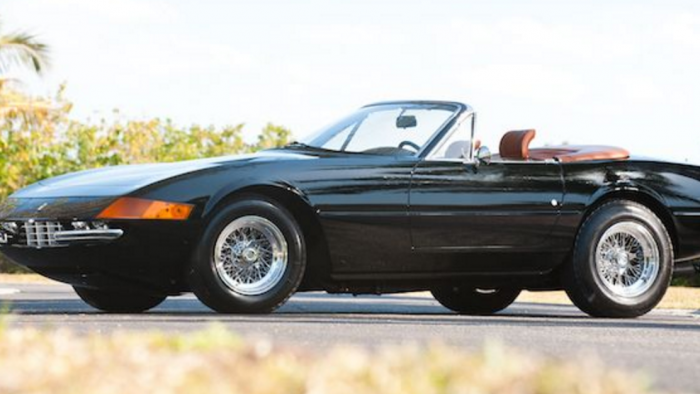 During the peak of the collector car market in the eighties, Daytona Spider prices skyrocketed, to the point where many companies offered services to hack off the roof. These services varied in comprehensiveness, some were little more than trim hacks while others were built properly and offered a cheap alternative to high-speed, open-top motoring. Some cars have claimed to be Scaglietti conversions, but this is impossible since Scaglietti was wholly owned by Ferrari. However they did supply outer panels to meet any requests, presumably for accident damage. 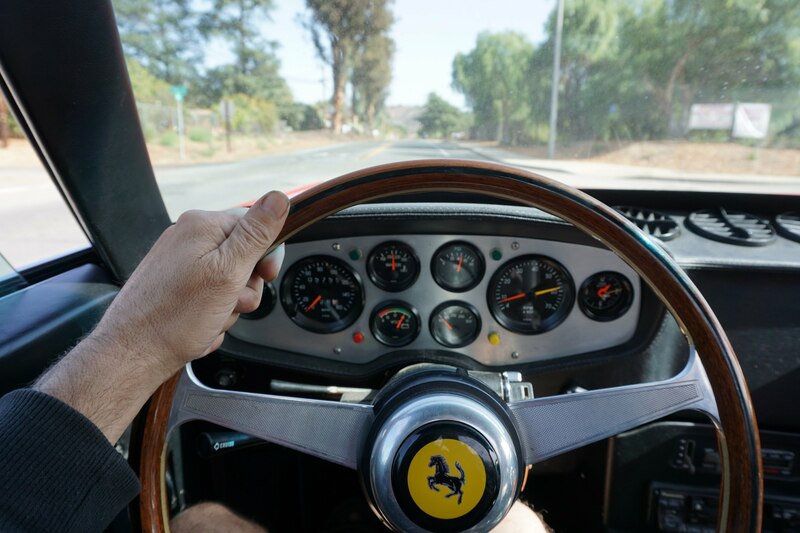 The Spider was no doubt a continuation of the iconic 250 GT California Spyder and 275 GTB/4 Spyder which were made at the request of Luigi Chinetti. Unfortunately, The 365 would end this trend as the next round of Ferraris were mid-engined, leaving little room for a soft top and a V12 in the same space. Not until the nineties was the idea revived with the 348. 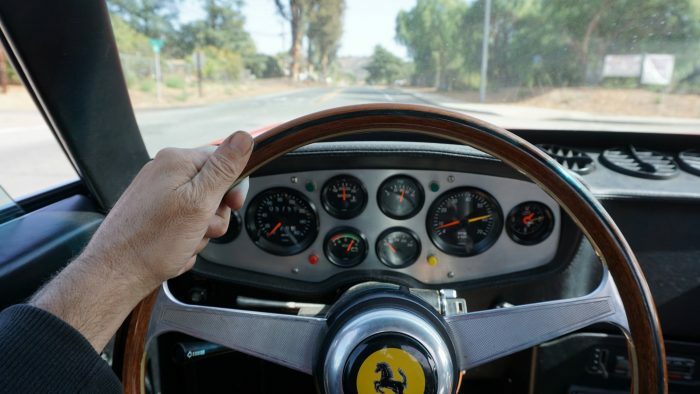 1972 Ferrari 365 GTB/4 Daytona Spider – sold for $3,300,000 Ferrari Classiche certified. 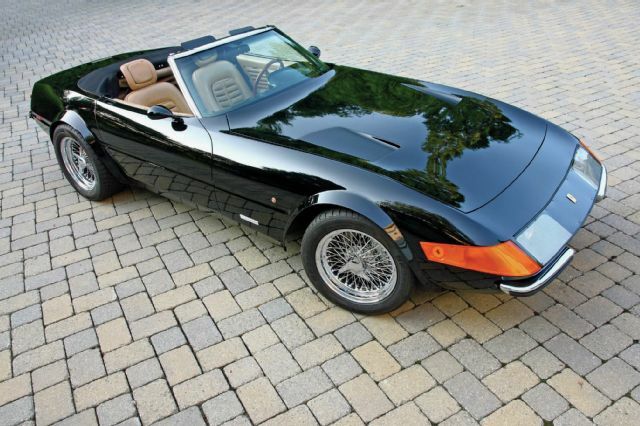 A genuine Daytona Spider; one of 121 built. Platinum Award winner at the 2013 Cavallino Classic. Beautifully restored, with minimal use since. Presented in its original Nero over Beige Scuro color combination; one of two Daytona Spiders originally finished as such. 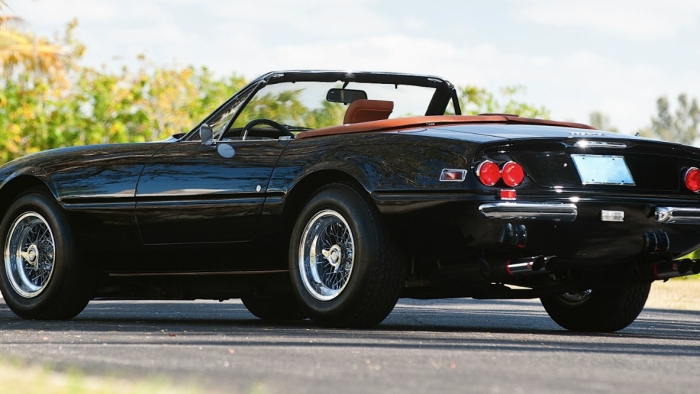 1971 Ferrari 365GTS/4 ‘Daytona’ Spyder 14605 – sold for €794,000 In 1976 Luigi Chinetti Motors imported the Daytona from Geneva to the USA, where its first owner was Adrian Butach of Weston, Connecticut. Subsequently the Ferrari was repainted in red and the engine changed. At around this time the car was possibly owned by model and actress, Marisa Berenson. Its next owner (in 1979) was Douglas A Weinberg of Phoenix, Arizona, while at sometime during the 1980s the Daytona passed into the ownership of collector Virgil Millett Jr of New York. At this time the odometer reading stood at 5,800 miles, indicating a change of instrument.